When you are on the battlefield, surrounded by swinging swords and zinging arrows, the last thing you want to worry about is whether your neck is covered. 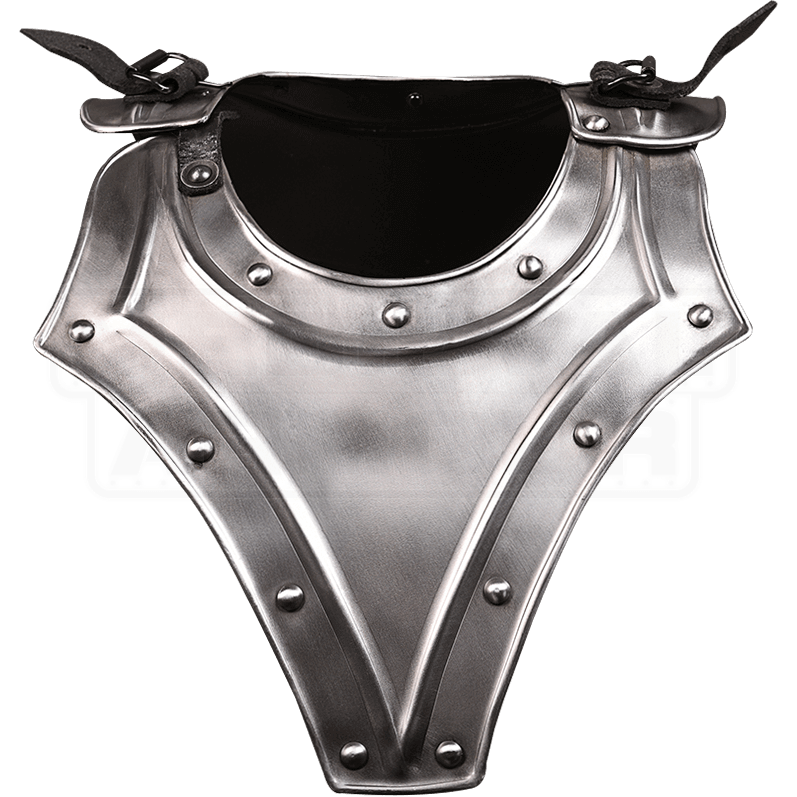 Luckily, with the dependable protection of the Steel Georg Gorget, you will not have to. This handmade, 18-gauge steel gorget features an extra-long chest piece, ensuring that the sternum is effectively covered. Ornamental riveting runs the length of the gorgets border, giving it an authentic feel. The gorget opens sideways and is closed by way of a buckle, allowing it to be removed with ease, and its design also grants the wearer the ability to attach it to a cuirass or breastplate using a secondary buckle under the front. This gorget was originally designed for use with other pieces from the Georg armour set, but it can also be worn on its own or used as a harness for a variety of other pauldrons. The Steel Georg Gorget makes a fantastic component to any LARP or light reenactment suit of armour.